It is November 16th and the past few days of hunting have been slow as far as mature and adolescent buck movement goes. Nevertheless it is still the rut and you are not going to let any moment to hunt pass you by. As you get set into your stand for the morning hunt you hear some noise off in the distance, but think nothing of it yet, as it is still too dark to get a good view of the area. Once the sun has risen you hear the noise again followed by what sounds like a buck grunting. As you glass the area from where the grunts came from, about 100 yards away in a dense thicket, you notice a huge mainframe 12 point buck bedded down with a doe. This is the biggest deer you have ever seen and most likely would land you near the top of the state record books if you could place a tag on it. However you know it is hard, if not impossible to lure a buck away from a hot doe. You notice that there is a shallow drainage ravine leading towards the buck. If you can follow this ravine without getting detected you should be in a perfect spot for a shot…and the wind is actually in your favor. The bad thing is that there is currently several does in the area milling around and chances are pretty slim you can get on the ground without spooking them and alerting the buck. 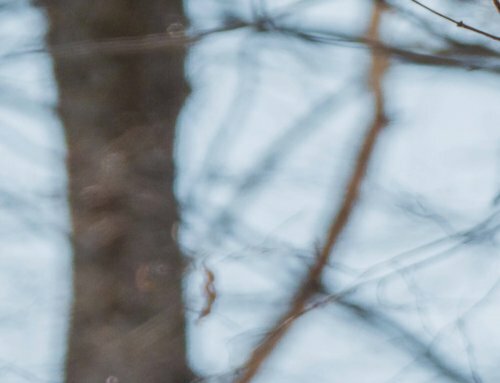 • Get out of your stand and sneak up on the lovebirds immediately. • Wait for the does to leave the area and then sneak up on the couple. • Grunt, rattle, snort wheeze at the buck from your stand; whatever is necessary to peak the curiosity of the buck. • Do nothing, bide your time and continue hunting. Luck can change instantly during the rut. • If it weren’t for the does being in the immediate area this would be a good choice, but I wouldn’t risk it unless I had no other options. All it is going to take is one uneasy doe to sound the alarm and game over. • If I were in this situation answer B is what I would do, but only if I was confident I could get into range. A lot of times putting a stalk on a locked down buck is not only your best option it might be your only option. You have a pretty good route to the buck, the wind is in your favor, and the dense cover is providing you some extra protection…go get him! 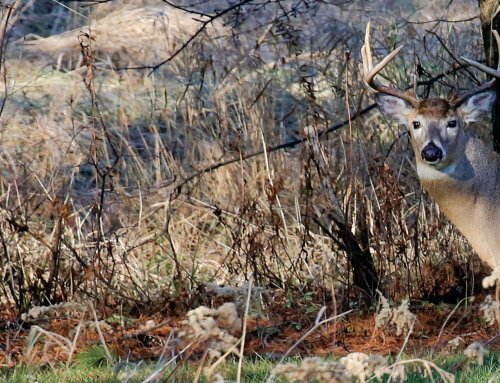 • You can most certainly try and throw everything but the kitchen sink at this buck, but if past experiences have taught me anything about a buck that is bedded down with a doe during the rut then there is nothing that you can do to bring this buck your way. • This answer is actually a good option if you don’t think a stalk will work. It is the rut after all and things can and will change at a moment’s notice. Who knows you may just have another shooter buck come into your area. Or the buck that is locked down may be done with that doe anytime and stick around the area. It is in the heart of the seeking phase of the rut and you are all set to hunt the first day of your 7 day vacation. You are really excited for these next 7 days as it is the rut, but this will be the last time you can get out to hunt this year…it is all or nothing! 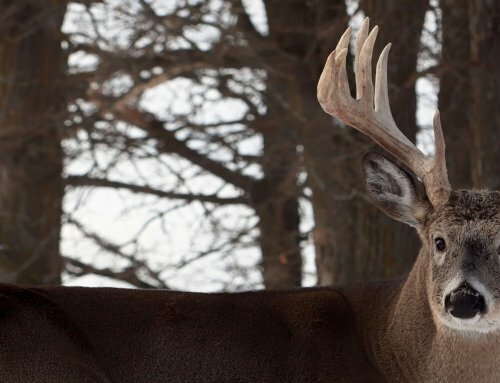 You have a really good idea of where the does are going to be at any given moment which gives you hope of seeing some really good bucks the next week, as you know where there are does the bucks won’t be too far off. The night before, you listen to the forecast which is calling for a SW wind. Knowing this information you begin to wonder what stand will be the best for tomorrow morning’s hunt. You have a stand near a bedding area that you seldom hunt, but it is the rut and you know the does are bedding there. Also trail cam photos show a few really nice bucks that have frequented the area earlier in the year. The only downside is the wind isn’t ideal for this spot. The next stand location is on a cut 30 acre soybean field. You always see bucks cruising the area every year at this time, and the wind is perfect for your stand. Your last option is a ridgeline funnel that leads to and from the bedding area mentioned above and a clover food plot on the adjacent side of the property from the soybean field. The wind would be good for this stand too and scouting efforts show does are really hitting the plot. 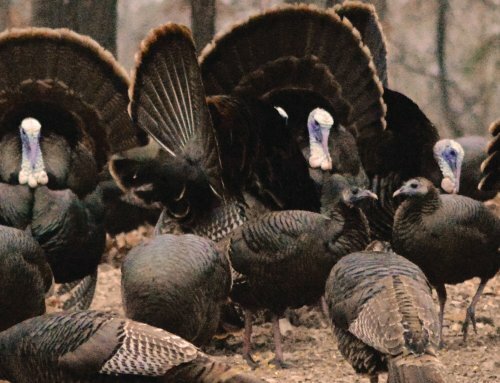 You have their feeding and bedding patterns down pat and have several options of where you would like to hunt today. • Ridge line funnel in between food plot and bedding area. • I would urge you to wait on this spot until you absolutely have to hunt it. You have seven days to hunt, try and find other spots to go to first. While you do have evidence of a few bucks in the area and you know does bed here regularly it is just too risky, even during the rut. All it takes is one disturbance and you can ruin this spot, which could ruin your entire property and the remaining days left to hunt. Not to mention the wind is not ideal for this spot, and above anything else you should always hunt with the wind in your favor. After five days of hunting elsewhere and still no luck you could then look at hunting the bedding area. With only two more days of hunting it might be time to throw caution to the wind. • This would be a great spot to hunt as does may catch a bite to eat before bedding for the day. Bucks will naturally cruise this area all throughout the day as well searching for does in the area. The only downside I can see is that the field is fairly large which limits your shooting range. The large field gives does and bucks plenty of space. Granted they may walk right by your stand, but they could also walk out in the middle of the field out of range. If you choose this area it would be an idea spot for a decoy, just in case the bucks are passing you by out of range. • I would go with answer C for your first morning hunt. Funnels are great spots to hunt the entire season, but they really become the go to spot during the rut. Especially in the morning and when they are in between a food source and bedding area. Does will naturally use this area as they come off the food source and head back into the timber to bed. The bucks will use this funnel as well as they check food sources and bedding areas for any does. The best thing about the funnel is that it constricts where a buck may go unlike the soybean field. Any buck that passes through the funnel will most likely be within range. • Questioning the ethics of shooting two bucks fighting you decide to just let them finish the bout and disperse. Then go to your stand, which is only another 150 yards away, and give doe bleats, grunts, and rattles to try and lure one of the bucks back to you. • Use the cover around you and the wind in your favor to sneak up on the two bucks and get a shot at whatever buck presents the best shot. • Stay put, find cover and grunt at the fighting bucks in hopes one or both comes your way. • Do nothing, enjoy the show and wait for them to leave the area and go on about your day. 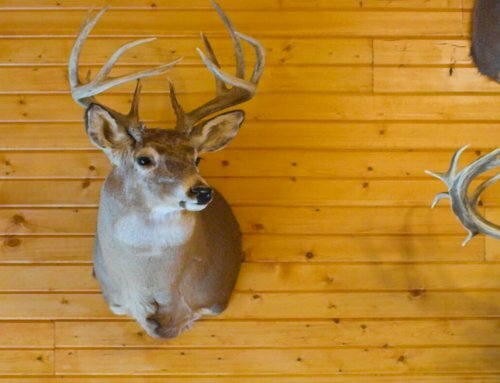 • First off I would say there is nothing wrong ethically about sneaking up on two bucks fighting and shooting one, but I do believe it comes down to personal opinion. If you don’t feel comfortable doing this then most certainly don’t or you will always be questioning your decision. Secondly I think letting the bucks disperse and then going to your stand to try and call them back is a pretty sound plan. Keep in mind it may be awhile before these bucks throw in the towel. Once on stand then hit the grunt tube and doe bleat. I would hold off on the antlers for a while just in case the bucks are really close. • With the ethics question already answered this would be a great option. If you believe you can pull of the stalk I say go for it! Not very often will you have the pick of the litter when hunting whitetails so this may be you’re only shot to do so. Not to mention the rush and thrill that you will get out of this option would be second to none. I couldn’t imagine being within bow range and having two giant bucks blood boiling mad fighting each other. When stalking just take your time and make sure you have a clear shot. Then when the bucks have stopped fighting and break apart take your shot. Obviously you want the droptine buck, however since both are similar in size I wouldn’t be all that picky. • This is a viable option and could possibly work. If you were to choose option C I would let out a few grunts while the bucks were still fighting just to let them know there is another contender in the area. Once they stop fighting and begin to walk off I would hit the grunt tube again and get really angry with your call. Who knows the winner of the previous fight may be up for another challenge. Make sure you are well hid and have ample room to draw your bow back. • There is nothing wrong with this answer. Sometimes it is best to just watch and enjoy the show. Who knows one of the bucks may come your way anyways!